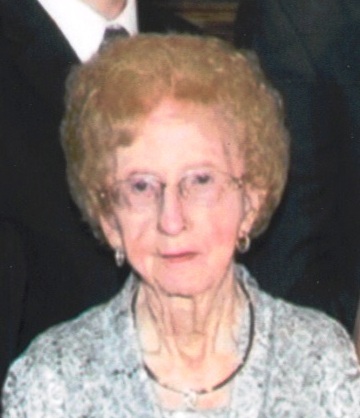 Delores Hamaty Thompson, 90, of Houtzdale, passed away Tuesday January 29, 2019 at Penn Highlands Clearfield. Born December 15, 1928 in Philipsburg, she was the daughter of the late Oliver R. and Edna C. Smith. Delores was a member of Holy Trinity Episcopal Church in Houtzdale. She was a 1946 graduate of Philipsburg High School and a 1950 graduate of the School of Nursing at Philipsburg State General Hospital where she was employed as a register nurse for many years. She and her first husband owned and operated Hamaty's Service Station in Houtzdale until their retirement in 1984. Delores loved to travel, cook, and enjoy spending time with her children and grandchildren. On September 10, 1950 she married David G Hamaty, who preceded her in death on January 7, 1993. On February 12, 2005 she married Chester Thompson Sr. who survives in Houtzdale. Along with her husband Delores is also survived by a son, David J. Hamaty and wife Dawn of Hummelstown; three daughters Nancy Hamaty of Falls Creek, VA, Catherine Jean McCrate and her husband Chris of Mill Spring, NC, and Joanne Pentz of Rockton; six grandchildren Kaitlynn and David T Hamaty of Hummelstown, Andy Zendek and wife Erin of Spring Grove, Mark Zendek and wife Autumn of Osceola Mills, Justin Pentz of Rockton and Renee Davis and husband Aaron of Erie; three great grandchildren, Summer, Mia and Ramsey; two brothers; Oliver "Bill" Smith and wife Jean of Frewsburg NY and Robert Smith of Haines City FL. Also surviving four step children; Chester C Thompson Jr. and wife Eileen of Brisbin, Frank Thompson and wife Cheryl of Brisbin, Fred Thompson and wife Cindy of Gearhartville, Stephanie Dale and husband Jon of Brisbin; fourteen step grandchildren and fifteen step great grandchildren. She was preceded in death by her parents, husband, and a step grandson Chester Thompson III. Funeral service will be held Saturday at 11:00 a.m. at Holy Trinity Episcopal Church, Houtzdale with Father William Ellis officiating. Family and friends will be received at the Birger A Freeberg Funeral Home Inc, Houtzdale on Friday from 2:00 to 4:00 p.m. and 6:00 to 8:00 p.m. and Saturday from 9:00 until 10:30 a.m.
Interment will be in the I.O.O. F. Cemetery, Brisbin.